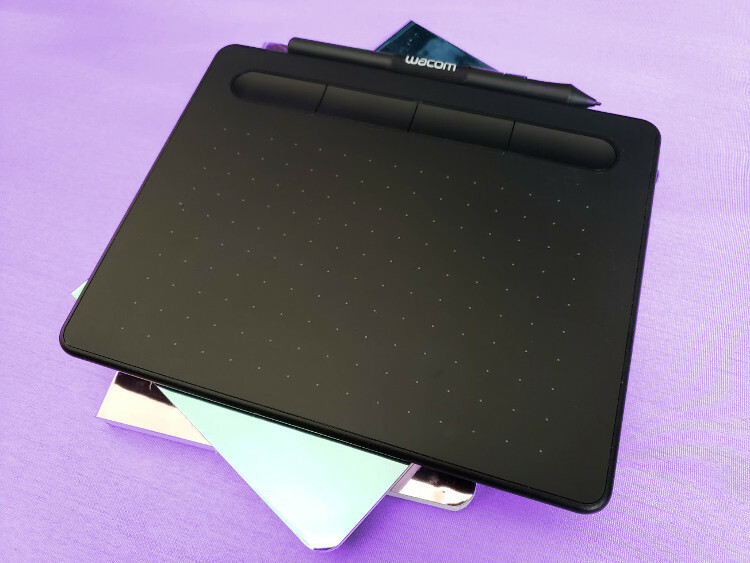 The Wacom Intuos is a common tablet used for creating digital artwork and vector drawings. It works surprisingly well on newer Ubuntu machines using built-in drivers and xsetwacom–perhaps even easier than on Windows, where support for the factory software can be lacking (Windows 7) or somewhat difficult to install (Windows 10). The Intuos will immediately begin working when plugged in; however, if the tablet input isn’t proportional to your screen or you’re using multiple monitors, you may need to tweak its resolution so the pen only maps to the right area. You can easily do this with xsetwacom, which should already be installed by default. Next, get the resolution of your stylus. This will output the vertices that currently map to the top left and bottom right of your screen(s). On my machine, this tells me 0 0 15200 9500. Think of this like two points: The upper left is at 0,0, and the bottom right is at 15200,9500, or the width is 15200 and the height is 9500. Since I have three monitors of the same size, we can ignore the Y axis–it’s already working properly. Touching the pen to the top of the pad goes to the top of the screen, and same with the bottom. The X axis isn’t how I’d like, though. With an X of 15200, currently the pointer goes all the way to the right side of the third monitor. I need to make the X of 15200 only at the far right of my first monitor. Since my monitors are the same size, this is rather simple: I just incorrectly report that the area is 3x as wide as it is, then X of 15200 becomes the far right-hand side of my first monitor. If your monitors aren’t the same resolution or your input area isn’t matching up to your monitor size, you’ll have to do a little math. Hopefully you’ve brushed up on your fractions! Just remember on each axis if your cursor is going farther than you want then you need a bigger number, and vice versa. Even though your cursor is now showing up in the correct location, your lines in Inkscape may not. To fix this, go to Edit > Input Devices. A pane will pop out on the right with your current devices. You should see your tablet with an expander to its left. If not, make sure “Use pressure-sensitive tablet (requires restart)” is clicked below the list and restart Inkscape. 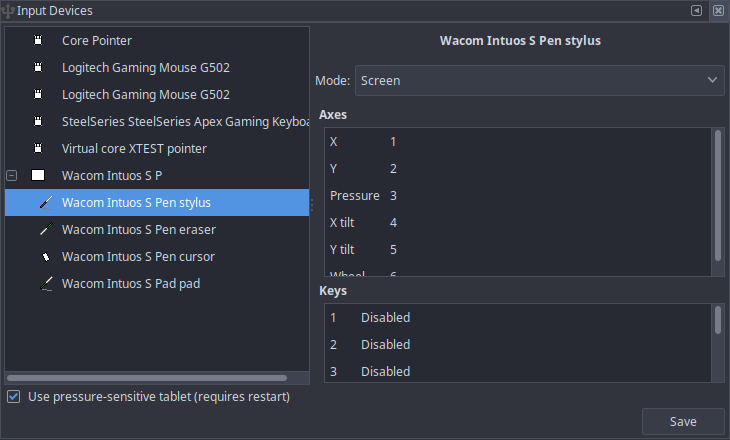 Expand your list of Wacom inputs. Click into each one and set its Mode to “Screen,” then click Save. 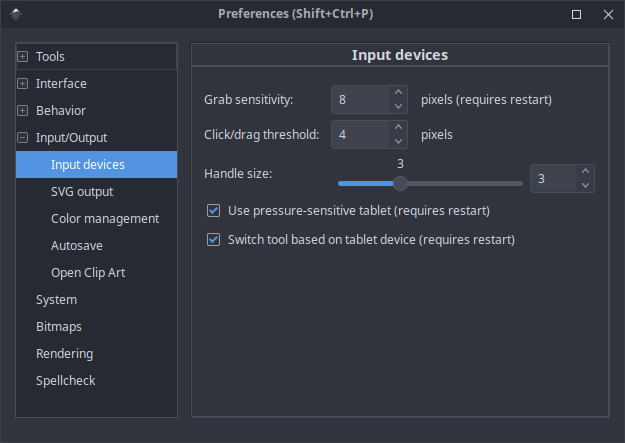 Next, go to Edit > Preferences and find “Input Devices” under “Input/Output.” Ensure “Switch tool based on tablet device (requires restart)” is checked, then restart Inkscape. Once Inkscape reloads, your lines should match up with your pen location on the screen. The buttons on your Intuos pad can be set to anything you like with a single command each. First, figure out the keystrokes you want each button to do. For my setup, I want the four buttons across the top to be “Draw Bezier curves and straight lines,” “Select and transform objects,” “Raise object,” and “Lower object.” The key combinations for each of these are Shift-F6, F1, Page Down, and Page Up. Using xsetwacom, these can be assigned with one command each. First, get the ID of your pad from your device list again using xsetwacom --list devices. Mine is 18. Now using one command for each button, assign a key sequence to it beginning with the word “key.” For multiple keys, leave a space between the keys. xsetwacom --set 18 button 1 "key shift f6"
xsetwacom --set 18 button 2 "key f1"
xsetwacom --set 18 button 3 "key PgDn"
xsetwacom --set 18 button 8 "key PgUp"
This part can be fiddly since the button numbers don’t line up with exactly what you’d expect. 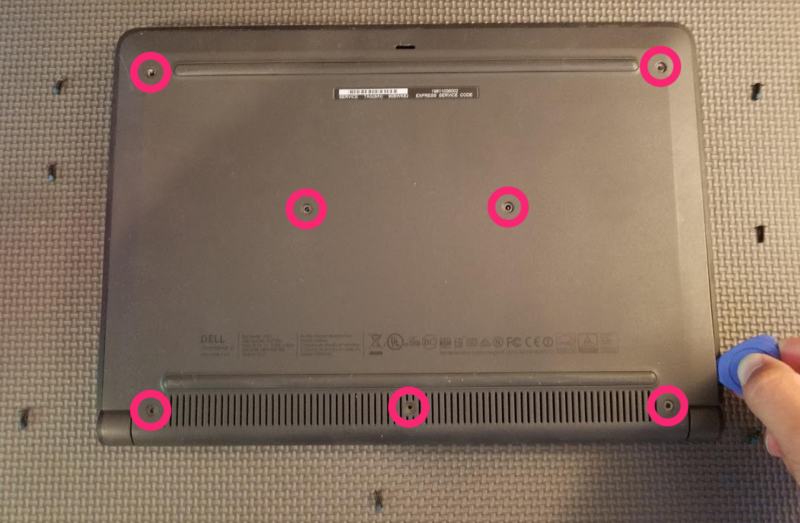 The four buttons on my Intuos CTL-4100 are 1, 2, 3, and 8, and buttons 4, 5, 6, and 7 don’t exist. The reason for that is a little deeper than this article needs to go–just know that if you try to set a command on a button that isn’t there, it will tell you “Unsupported offset into ‘Wacom Button Actions’ property” and nothing bad will happen. 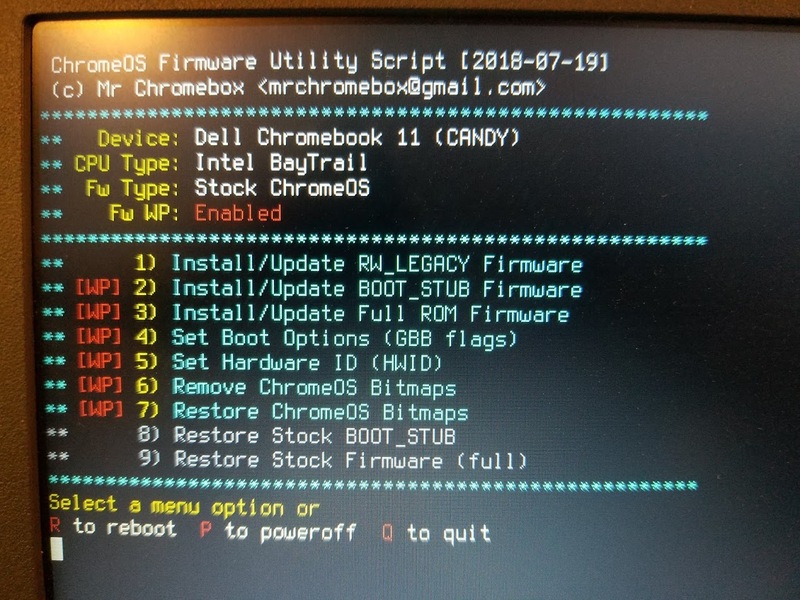 This post covers installation and usage impressions of GalliumOS on the Dell Chromebook 11 3120. To jump straight in, skip to Before You Start. With November around the corner, I needed a decent laptop to attend National Novel Writing Month meetups. Much as I love my MSI GS73VR, a gaming laptop of its size doesn’t fit in most backpacks and only manages an hour on battery. It also telegraphs “steal me, I’m expensive” from across the room. The ideal laptop for NaNoWriMo, in my mind, is a highly portable, durable beater with extreme battery life and just enough power for work at the absolute lowest price point possible (preferably while not looking like crap). Luckily, just such a laptop exists, and currently goes for about $100: The Dell Chromebook 11 3120. Unfortunately there’s that word “Chromebook” in there, which is great for a whole lot of people, but a deal breaker for me even as a web developer. I love the concept and all, but would be lost without git, apache/nginx, node, Sublime Text, GIMP, and InkScape. Plus the cross-platform novel writing software I’m using, Manuskript, doesn’t have a web version. Chromebooks can run Linux on top of ChromeOS using a tool like Crouton, but some can go even farther and will run a full-on reinstall or even dual boot. 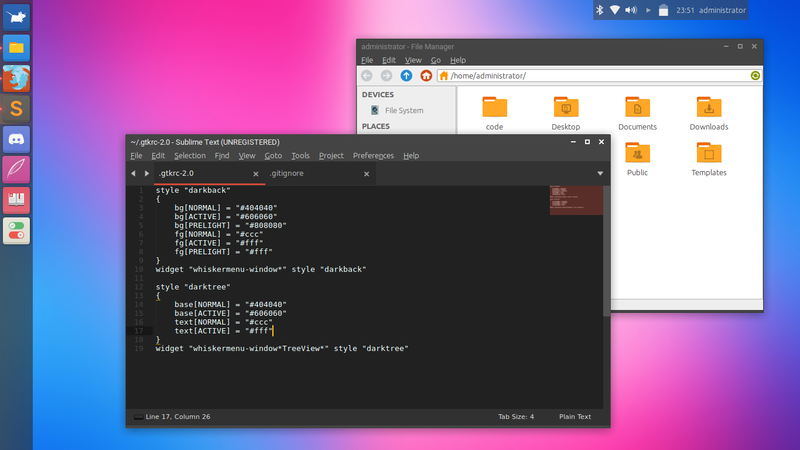 GalliumOS is a distro specifically for Chromebooks. It combines the small size and lightweight memory footprint of Xubuntu (Ubuntu running XFCE as its Desktop Environment) with a collection of drivers, optimizations, and bug fixes specific to Chromebooks. The maintainers keep an excellent hardware compatibility list so you can know in advance which Chromebooks it will work with and what problems you may encounter. 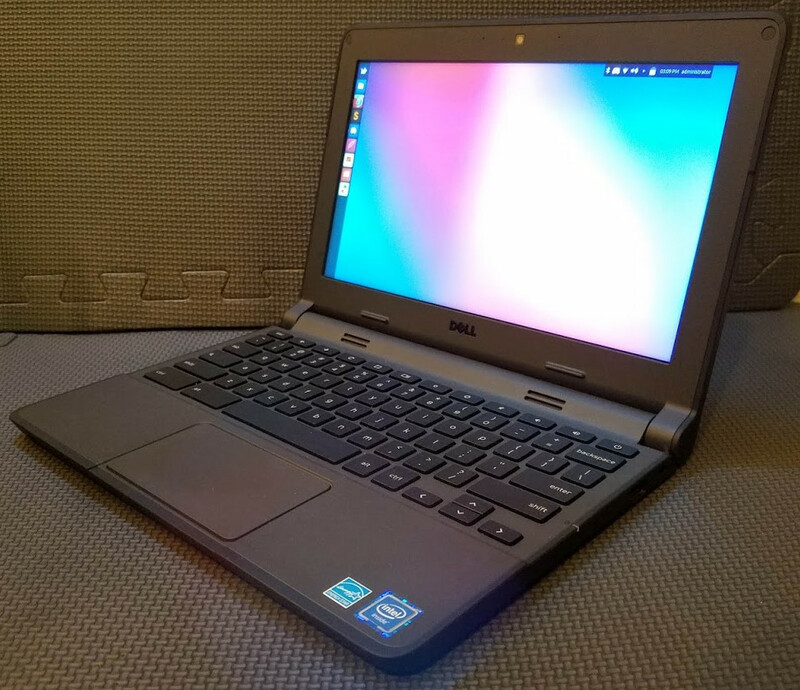 The Dell Chromebook 11 3120 can run Linux via Crouton in developer mode, dual boot via a legacy boot mode, run a new OS while retaining ChromeOS’s recovery mode, or have its firmware replaced with a new UEFI ROM which completely removes ChromeOS and effectively makes it a normal computer. This tutorial will cover the last option, as I have no intention of ever using this machine with ChromeOS and it has basically no resale value anyway. The last option also has the benefit of better hardware support, as some services like sound will not work on this machine with RW_LEGACY dual booting. 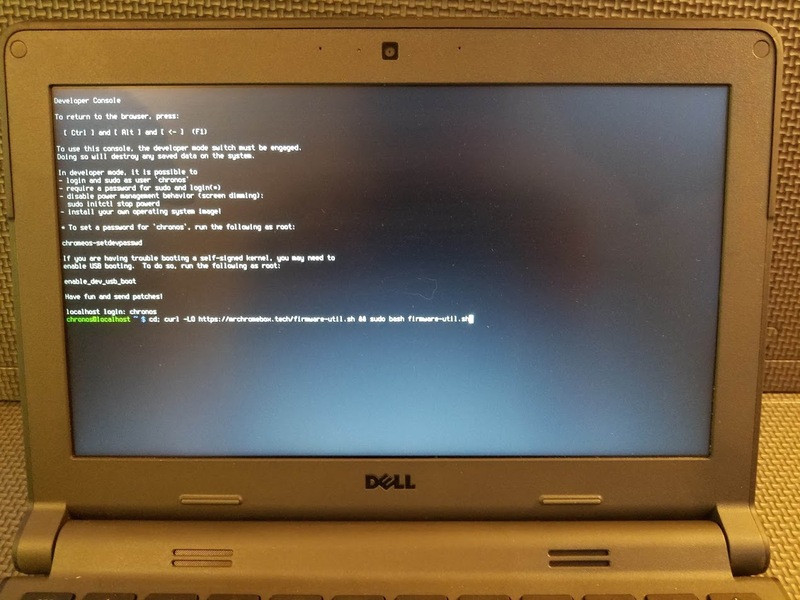 Download the appropriate system image from GalliumOS’s downloads page (the Dell Chromebook 11 3120 uses the “Bay Trail” image) and use your favored method of imaging it as a bootable flash drive. 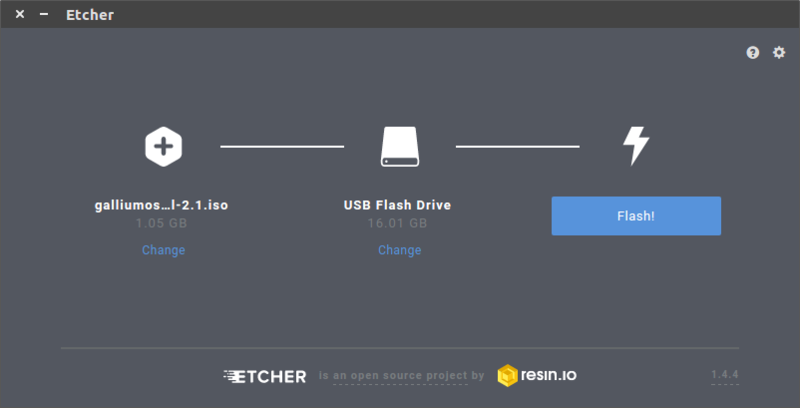 I personally like Etcher since it’s extremely simple and works on Windows, Mac OS, and Linux. Once the drive is imaged, set it aside. We’ll come back to it shortly. Once the screws are out, you will need a prying tool to remove the bottom cover. Start at the sides toward the screen and work your way toward the touchpad on each side with a spudger. Next, locate the screw labeled WP. This is the firmware write-protect screw. Remove it and… realistically throw it in the trash. Honestly, are you ever really going to revert this thing to factory? 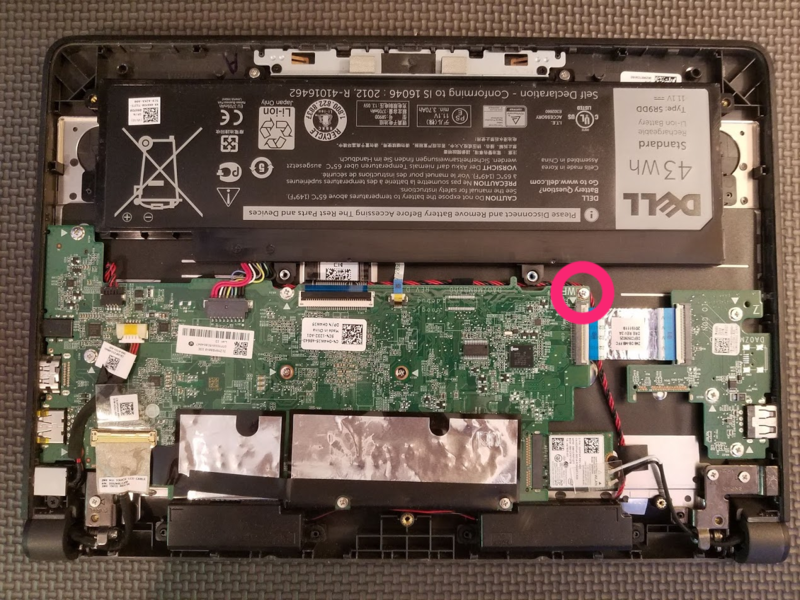 In order to flash your firmware, your Chromebook will need to be in Developer Mode. With the power on, hold Esc + Reload and then tap the power button. 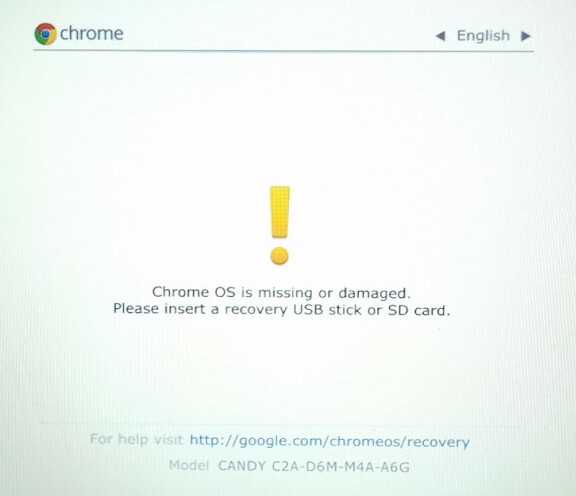 The screen should go blank, then load into Recovery Mode with a message about ChromeOS being “missing or damaged” (don’t worry, it isn’t really–that’s what this mode will always say, and we’re just visiting). Next you turn off OS verification, but first be warned that this will delete all of your data. If you need anything backed up, STOP NOW. Hold Ctrl and tap D to turn off OS verification and press Enter to confirm. The Chromebook will now reboot. Wait 30 seconds and you’ll hear two beeps, followed by another reboot. It will then factory reset the device, followed by another reboot. 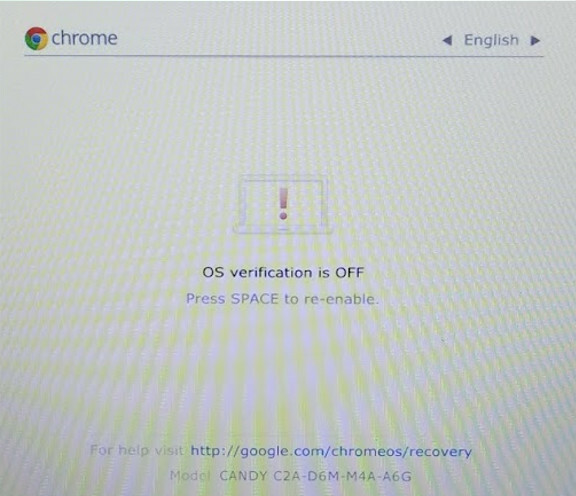 Now, the Chromebook will always boot to an “OS verification is OFF” screen for 30 seconds (which you can bypass at any time with Ctrl-D) before booting into ChromeOS. Note: If you run into a screen saying “The device owner has disabled developer mode,” you may just need to complete the device setup wizard. Try completely setting up your user, then repeating this section. If you still get this screen, it’s possible your Chromebook was used in a school and not decommissioned properly. See chrome://system and chrome://policy to see if management or device policies have been set up. If they have, it may still be possible to contact the school district and Google support to decommission your device. If not, sorry but you may be screwed. Enjoy your stock Chromebook. Insert your flash drive to back up your firmware. Choose option 3, “Install/Update Full ROM Firmware” and accept the option to back up your firmware when it is offered. This file should be placed somewhere for safe keeping, so consider moving it to your backup solution once it’s safely onto the flash drive. Updating the firmware takes about a minute. When the process is finished, insert your GalliumOS flash drive and restart the computer. From here the process is much like installing any Linux distro. Let the computer start up with the bootable flash drive, then click the “Install GalliumOS 2.1” icon on the desktop. Once it’s finished, remove the flash drive as instructed and your new Gallium… book? is complete!